The day we all inspected our first studio space. Moments after this photo was taken, an extended kung-fu battle ensued to determine who would sit where. 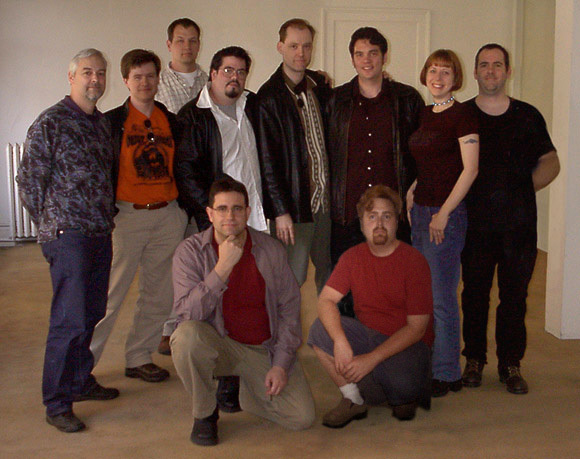 Standing dragons, left to right: Ron, Karl, Terry, Matthew, Paul, David, Rebecca, Pete. (NOTE: Drew astrotemporally projected himself back in time for this photo). SUPERMAN, BATMAN, and WONDER WOMAN. 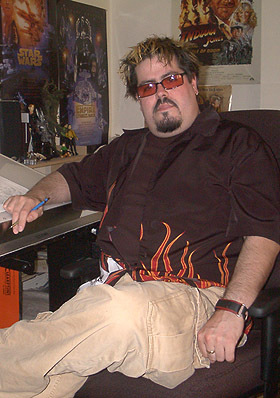 Just a few months into the future, Karl Kesel will become the inker on FANTASTIC FOUR, and Terry Dodson will be pencilling SPIDER MAN. We are poised to take over the known universe. We all move out of the funky old space and into swanky new digs. 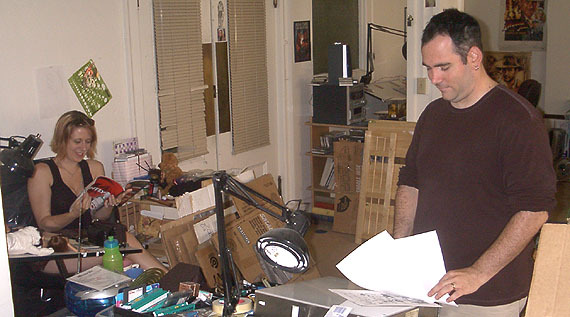 Nothing but the best for comics’ greatest studio! On our last day at the old studio, deadlines keep some at their drawing tables until the final hour. 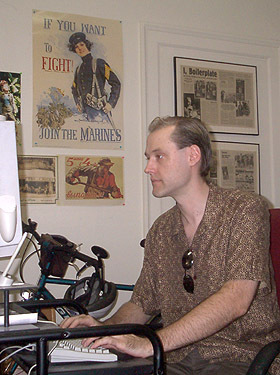 Left: David Hahn works on Bite Club. 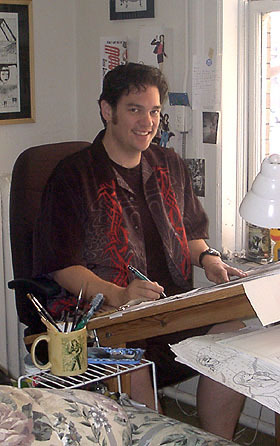 Above: Matthew Clark finishes up on The Inhumans, preparing to take over pencilling duties on Superman. 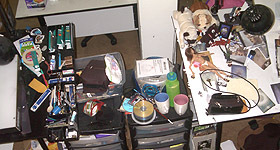 Above: The studio assembles and sets out for the new space, where we'll fight over who sits where--art-monkey style! Below: Steve Lieber naps while on The Road to Perdition. 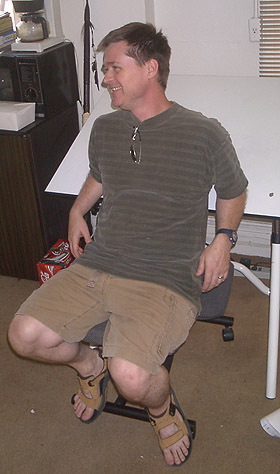 Right: Karl Kesel tries out the weird chair. 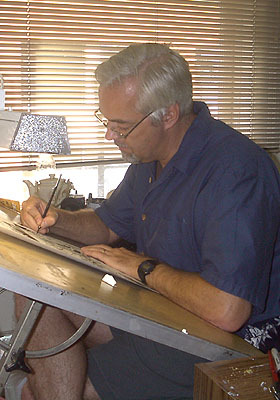 Left: Ron Randall inks with a brush. 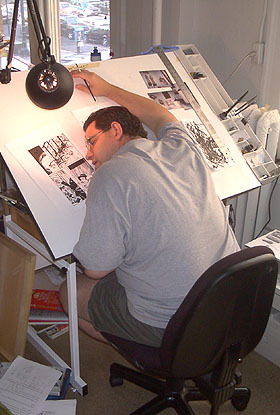 Below: Paul Guinan inks with pixels.